PERFECTED WAVELENGTHS FOR PEAK PERFORMANCE: Equipped with 12 LED(3 blue & 9 red), The 12W led grow light blub emits the most efficient light wavelength to produce peak photosynthesis performance and cultivate plants and herbs. 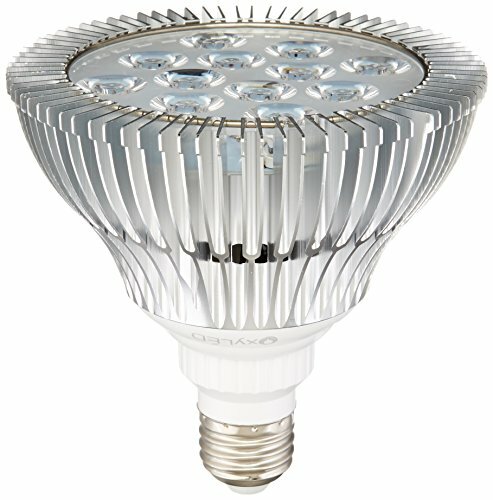 SAFE AND LONG SERVICE LIFE: No radiation and other side effects; service life is up to 20,000 hours, a must-have led grow bulb to promote the growth of your plant or fresh vegetables in your garden. EASY TO USE: Well constructed and suited for a standard E26 socket in indoor and outdoor settings, the plant grow lights is easy to set up and use. No special lamp base needed and a desk lamp will do.